What if I Forget a Tax Form 1099-INT? Use Form 1040X to make changes to your return. 1. What if You Filed Your Taxes & Forgot Interest Income? 2. 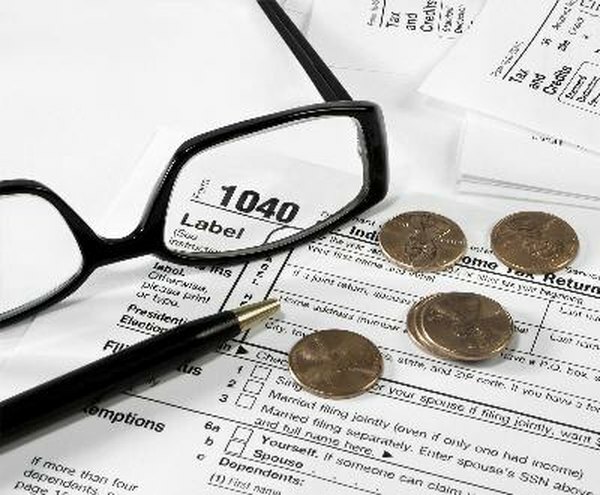 What Happens if I Get a 1099 After I File My Taxes? When your bank or investment company mails you a 1099-INT, it also provides the same information to the Internal Revenue Service. If you file your taxes and forget to include a Form 1099-INT, you must file an amended return to include it. You cannot amend a return electronically, but must use paper forms. Monitor the calendar. You are eligible to file an amended return within three years of the filing date of the original return. Find your original return, including all attachments and schedules. Since you will be making only one change, it is smart to pull as much data as possible from your original return. Download Form 1040X from the IRS website. You can also request the form by phone or pick one up from a government office or post office. Fill out a new Schedule B, to include the additional interest income. You'll need to re-total the interest income line item, as well as any calculations that derive from that new total. Fill in Form 1040X, using the original return as a guide. Write down the amended income figure in the Income and Deduction section. Explain on the back of the form in Section III that you forgot to file a Form 1099-INT when you filed your original return. Check the return for accuracy, sign and date it and mail it to the address included in the instructions. It takes eight to 12 weeks for the IRS to process an amended return. You need only file schedules to which changes have been made, along with Form 1040X, when you file an amended return.